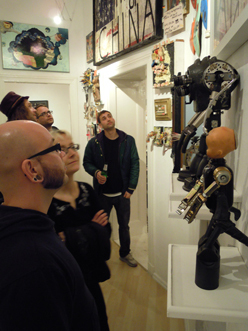 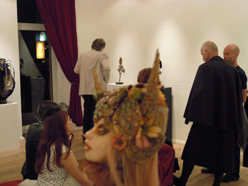 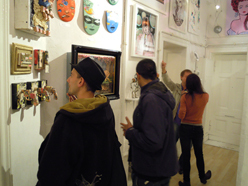 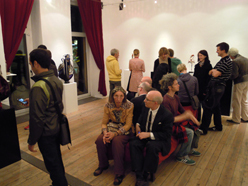 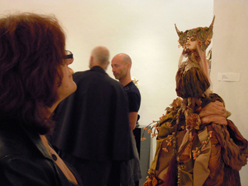 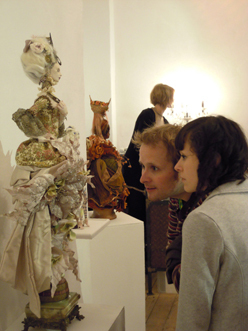 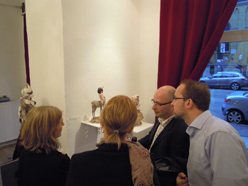 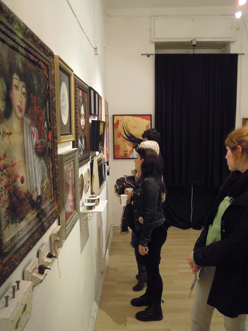 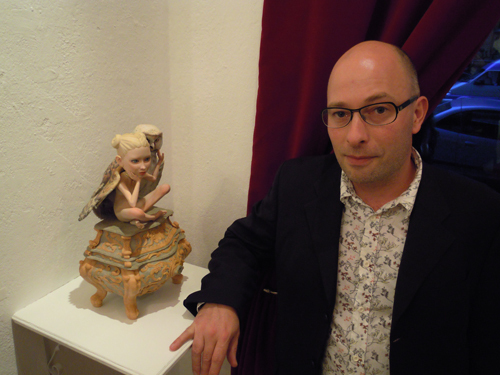 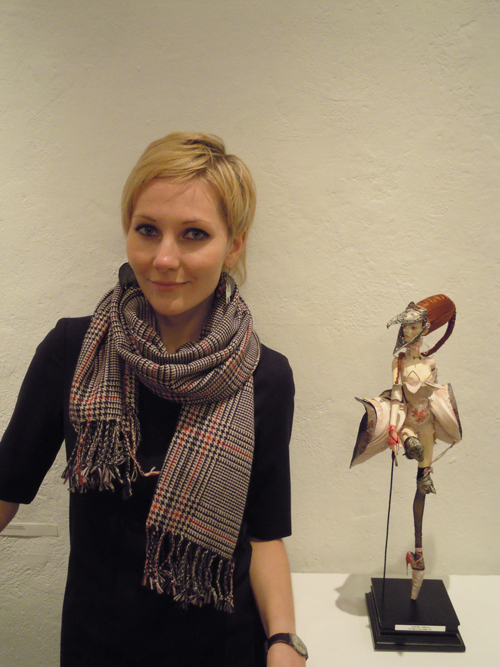 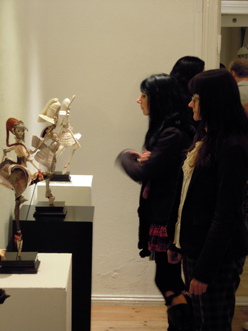 Last night the vernissage of the international group exhibition Valley of Dolls took place at our gallery. 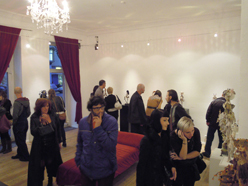 Plenty of curious art enthusiasts show up and were highly interested in this beautiful but to the majority rather unknown area of the art world. 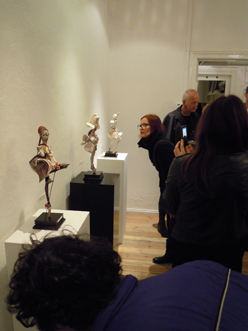 The perception of all these different pieces was phenomenal and people were in constant amazement when not busy taking photo after photo. 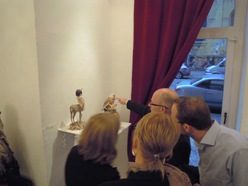 Of course, Eric and Lena were very happy to see their works being so well-received and did not mind to explain their creations to everybody who was keen on learning more about them. 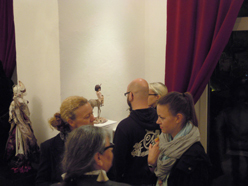 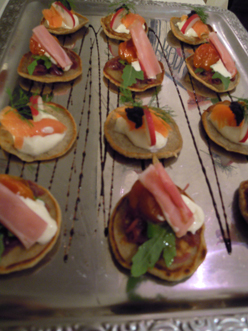 So once again we had a very fun opening with fascinating art, interesting conversations, cold drinks and good food. 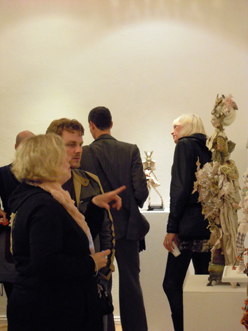 Everybody who could not be here yesterday still has the chance to see the show until October 2nd. 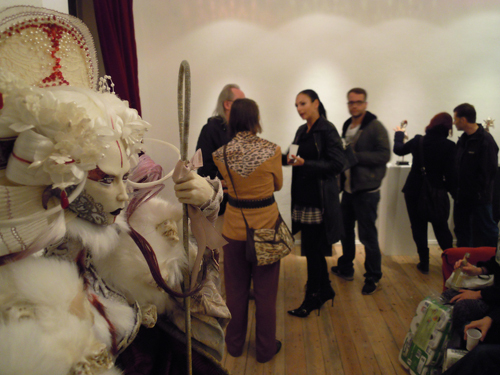 This entry was posted on September 10, 2011 by strychnin in Uncategorized and tagged Eric van Straaten, Marmite Sue, Popovy Sisters, Strychnin Gallery, Strychnin.com, Valley of Dolls, Virginie Ropars.